At UBC’s Vancouver campus, you can get a top-tier education while living in one of the most beautiful cities in the world. This research-intensive campus is an incubator for bright ideas and a jumping-off point for adventure, both inside and outside the classroom. Students and faculty from across the globe come to UBC’s Vancouver campus for its outstanding research, world-renowned programs, and picturesque setting. Astronomy student Robin Newhouse complemented his studies with undergraduate research, a co-op at TRIUMF, involvement in the UBC Astronomy Club, and eight months researching in Germany. 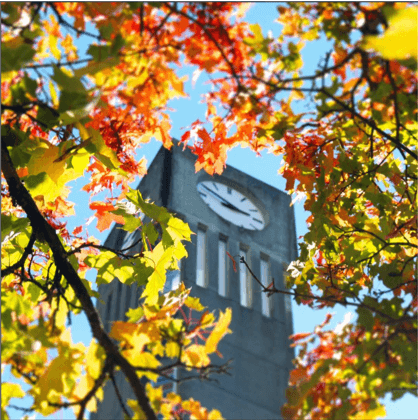 UBC has a wide range of flexible and innovative degree programs. Equip yourself with artistic, technical, and analytics skills to gain understanding of new media and the impact of technological innovation on our interactions and in our society. Media Studies combines coursework from several areas, including computer science, creative writing, digital humanities, history, and visual arts. Study sustainability planning, forest sciences, climate change, and more. Learn about planning and managing urban green spaces and ecosystems for human welfare, ecological health, and the protection of our cities’ support systems. The UBC and Sciences Po four-year, dual-degree program gives you the chance to earn two bachelor’s degrees and the opportunity to study in both Canada and France. In this extraordinary academic opportunity you’ll learn through global experience and informed reflection on international comparisons. This cohort program takes an innovative approach to the study of the humanities and focuses on English, History, and Philosophy. Instead of attending several separate lectures, you’ll attend one weekly lecture taught by a dynamic team of instructors from a variety of academic disciplines. See the state-of-the-art research facilities, inspiring student spaces, and important cultural venues that give the Vancouver campus its spirit. The Beaty Biodiversity Museum is home to more than 500 natural history exhibits, including Canada's largest blue whale skeleton. The student-driven, 40-hectare UBC Farm is home to the Centre for Sustainable Food Systems. 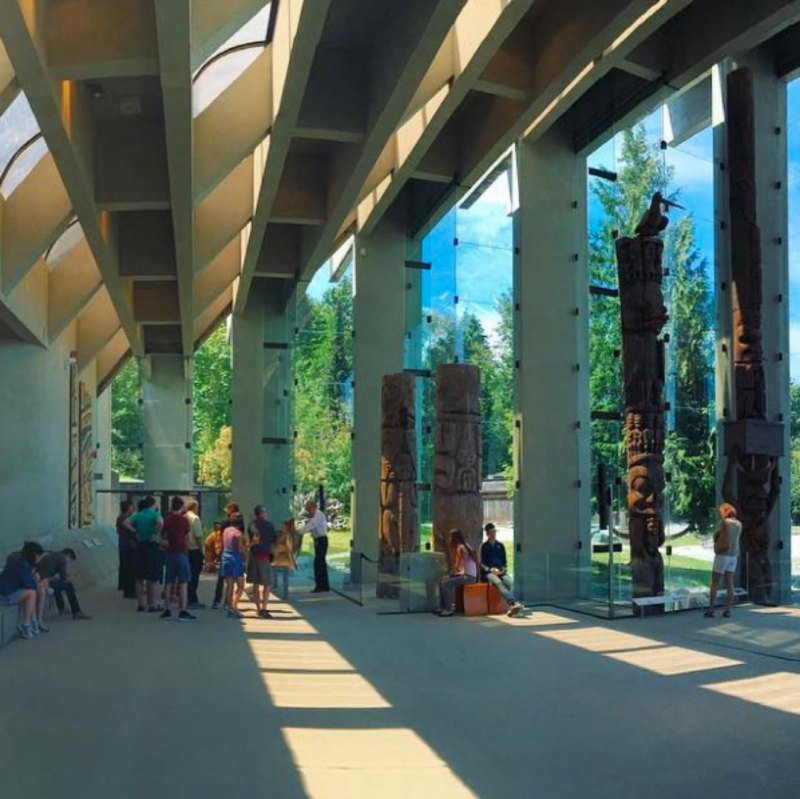 The Museum of Anthropology houses more than 40,000 ethnographic objects from almost every part of the world, and specializes in First Nations culture. TRIUMF – which includes a 500 MeV cyclotron – is Canada's national laboratory for particle and nuclear physics and accelerator-based science. The First Nations Longhouse is a central hub for programming and services for Aboriginal students, the university, and the wider community. The Chan Centre for the Performing Arts is a vital part of UBC's cultural campus life. UBC's student building, the Nest, has study and eating spaces, a climbing wall, rooftop garden, campus pub, and more. The Vancouver campus is surrounded by the Pacific Ocean and just steps away from the beach. UBC Library is a vital support for research and learning, with more than six million volumes, comprising both physical and digital collections. The Centre for Interactive Research on Sustainability accelerates the adoption of sustainable building technologies and urban development practices. Watch the video to see one student’s first day at UBC as she says goodbye to her family and settles into student life. Explore the many different residence buildings on UBC’s Vancouver campus to see where you could live and learn as a university student. Campus is just 20 minutes from Vancouver’s bustling downtown core, where you’ll find food trucks, art galleries, shopping, and more. With the ocean, mountains, forest, and city all at your finger tips, adventure of all kinds awaits. Biking all over the city is easy with tons of bike lanes and a public bike-share program. Vancouver has more than 100 food trucks serving up delicious and culturally diverse food and drinks. The Vancouver Whitecaps FC play out of BC Place stadium, located in downtown Vancouver. The Sea Wall is one of many great spots to jog, walk, or bike. English Bay in downtown Vancouver is one of the city's many beaches. 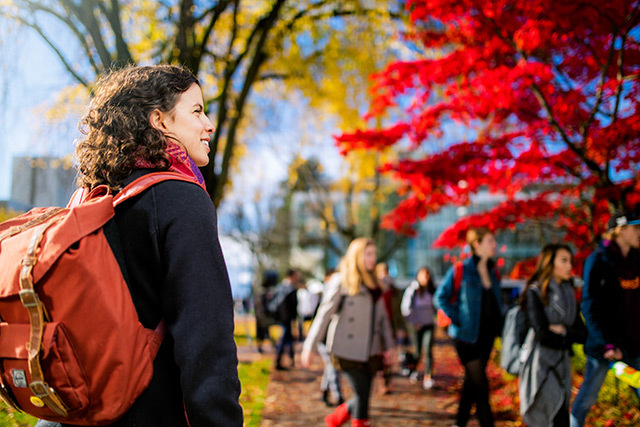 Students on UBC’s Vancouver campus are part of a lively community that includes clubs, special student-run events, and sports and recreation. Third-year biology honours student Carolina Sanchez talks about how her education extends beyond the classroom – including reducing plastic water bottle use as a member of the campus's sustainability club, volunteering at a vegan student-run café, and more. "Consider the great variety of activities that you can get involved in outside of academics at UBC." Pursue your interests or learn something new while making friends through a UBC club. With options that span student-run clubs, academic associations, undergraduate societies, and course unions, you can choose your own adventure. The Vancouver campus has 25 varsity teams, but you don’t need to be a diehard athlete to stay active. You can choose from group fitness classes, like yoga, try out for a sports club, like the nationally ranked Quidditch team, or do your own thing in the gym or aquatic centre. Take in an exhibition at the Morris and Helen Belkin Art Gallery. Attend a concert at the Chan Centre for the Performing Arts. Join the UBC Photographic Society to sharpen your photography skills. Campus has myriad arts venues and cultural spaces for you to enjoy. Completing a co-operative education position is a great way to make connections in the local community. Vancouver is home to offices of global heavyweights such as Lululemon and Microsoft; has companies spanning sectors from forestry and engineering to public relations and banking; and has a thriving startup scene that is always searching for talented new employees. You could gain hands-on, immersive experience by taking part in community service, volunteering on Vancouver’s Downtown Eastside, or working with children in a local elementary school. 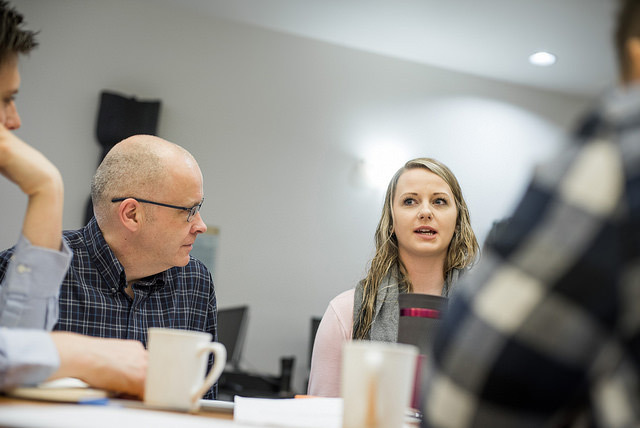 UBC’s Centre for Community Engaged Learning gives you the tools to gain a deeper understanding of your academic discipline while engaging in complex, community-based issues. 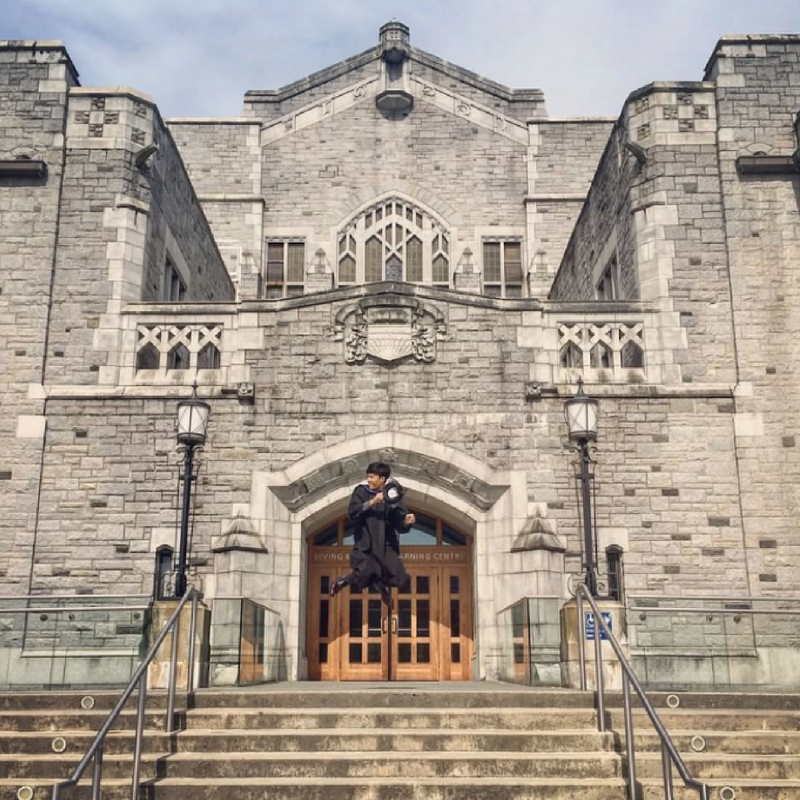 See what life looks like on UBC's Vancouver campus through the lens of its students. It’s that magical time of year on our campuses - graduation! ✨???? by @jayvinfoong: “Graduated from Hogwarts :’)"
Want to be a part of this vibrant campus community? Apply now, and choose "Vancouver campus"